Are you making blog resolutions? I hope you’re not making grand resolutions that are too large and vague that you’re setting yourself up for discouraging failure. That goes for your blog, too. You know you need to make some changes, but if you resolve to “write better blog posts” you won’t make changes at all. You need specifics, something you can take action on. If you can define it, you can do it. Here are five specific resolutions that will show you how to improve your blog this year. Your blog's permalinks get trashed pretty easily if you've been blogging a long time. Maybe you've switched blogging platforms or you've moved blog posts around. Content is still there, but the permalinks are different. Your site links to old posts. External sites link to old posts. The first dead link is in your power to fix. You can make sure your blog posts contain links to the new URL on your own. The second type of dead link is a little bit more troublesome. Obviously, you can't fix an outside site. You can email them and ask them to fix it, but I wouldn't even bother. Here they are, linking to you and helping you with referral traffic and search engine appeal, and the link is dead. This must be fixed. Head over to Google Webmaster Tools to improve your blog links. (You'll need an account set up for a bit so data can be collected for a period of time.) Choose your domain. Then navigate to Health > Crawl Errors. In the URL Errors section, click on the Not Found section. Bingo! This site had 829 inbound links that were being completely wasted. Yikes! Webmaster Tools will provide you with a list of the links on your site that are dead. The example above shows a mind-numbing 829 dead inbound links. Not good. Click on the problematic links to see who is linking to you. Clicking on a link tells you all of the sites linking to it. Create a spreadsheet that matches up the dead links to the correct links on your current site. If the blog post is entirely gone, match it up with the next closest thing, or your homepage. This spreadsheet is going to be very handy in the next step. You will need to redirect the dead links to the good links. This is where the spreadsheet you've set up will save the day. Use a 301 redirect to do the job, using your .htaccess file. If this is completely uncomfortable and scary to you, get someone to help you. You must make sure all inbound links go somewhere that isn't an error, otherwise you lose SEO benefits and slap new readers in the face with a "hey that page doesn't exist!" message. You can make your site more visitor-friendly if you know how to improve your blog. It will also help if you know how your visitors actually use it. A heat map shows you which areas of your site have "hot spots". Hot spots are where your site's visitors click the most. Heat maps might use color or other indicators to show you this information. You can use a heat map to figure out where your visitors are clicking and if your blog design is distracting them from the call-to-action you wanted from them. There are several services that provide detailed heat map technology, but if you're already using Google Analytics, you could start there. Open your blog in one tab, and in another tab go to your Google Analytics account. In the left column, under "Behavior", click on "In-Page Analytics." You can watch your website load, complete with analytics and different heat map options, within Google Analytics. If you have some trouble getting it to load, Google will also let you load it on its own tab and that works the same. If you're not sure how to improve your blog by interpreting the data you're seeing, click on the Help button in the upper right corner. You'll get help options that are related to the tools you are using. The results might surprise you. Your visitors might not behave as you expected them to. Let's look at the homepage of CoSchedule as an example of how you might use a heat map. We might logically assume they would click on the "try it free" button first. Our button is blue (noticeable against the orange), it is to the right side of the header where people end up when reading left-to-right, and it has an arrow (which increases click rate). But look at the heat map. Most visitors are clicking on the "features" (17%) and "pricing" (43%) links on the CoSchedule home page. Before people want to try it free they want to find out about CoSchedule's features and pricing. In fact, they want to find out about the pricing above all else. Price matters. What happens if we visit the "pricing" page? "Features" gets more clicks, then the link to our homepage, and then "try it free." And if we visit the "features" page? "Pricing" takes the lead again. Then the CoSchedule homepage, then "features", and then "try it free." That beautiful blue "Try It Free" button is getting a good share of clicks, but our heat map tells us something about our website visitors: they'll try it free, but they want to know what the price will ultimately be, and what features CoSchedule has, before signing up. You can see if your site's design has gotten cluttered and distracting. It'll give you some options to try testing out different colors, copy, and location. It might also convince you that all of those ads, "like" boxes, RSS feeds, Twitter boxes, and other fun widgets are doing one thing: splitting your audience. Are visitors clicking because of the color? Because of the question they need answered? Because of the placement? Because of other distractions? A heat map can't accurately answer all of that for you, but it is a way to measure adjustments you're making, along with other analytics tools, and how they change conversions and traffic. It is also a very visual interpretation of what people do when they are on your site. First, rethink your use of tags. Some WordPress bloggers and themes use tags for specific reasons that mean they must use them. But most bloggers don't need tags. It's likely you don't need them at all. But categories? Definitely, use categories. Set up your categories so that you have no "uncategorized" default option. Decide which category would be the most common category (look at old blog posts and see which category gets used the most) and make that the default option instead. This way, even if you forget to choose a category, you don't have the unsightly "uncategorized" association with your blog posts. Seeing "uncategorized" all over a blog isn't very assuring. Then, decide on about 8-10 categories for your posts. You might have 25. That's too many. Categories aren't for you; they are for the reader. They are to help the reader understand the context of your blog post as well as find specific posts they might be interested in. 1. List up to 10 words associated with your blog's niche. 2. Reduce that list if necessary so it only contains the topics you'll write equally on. 3. Remove any words that would overlap topically. Leave room in case you need to readjust your categories later, so that you can always keep them around 10 or lower. 4. These are your blog categories. Categories are a work–horse for you, the blogger, only if you reduce them and keep them under control. Well–chosen categories are what keep you in your niche. Writing a post and realize it doesn't fit well into your categories? The answer is to rewrite the post so that it does. Don't add another category. Your categories are the guide rails that keep you from going off the road. More isn't better, especially when it comes to the call To action (CTA) that you use to build your email list or sell your product. 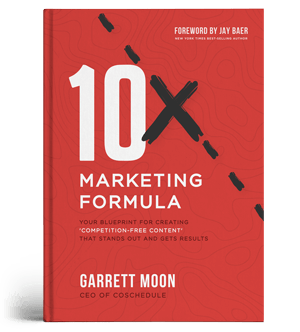 The more CTAs you have, the more likely you'll have less success with all of them as a whole. 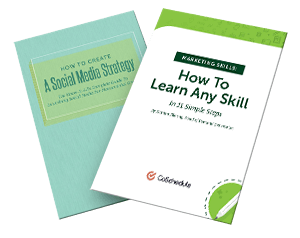 Offer the ebook OR the email course. Offer the free report OR the worksheets. Don't make everything available all at once. Why? You'll confuse readers and divide their attention: Nothing gains traction; it's all thinly spread out. Readers don't understand what you want. Readers get bored: They become accustomed to seeing the same thing, and they learn to ignore it. Keep your site fresh and keep them interested by offering something new regularly. Create a sense of urgency: Exclusivity becomes an option when you make something available for a limited time. Don't divide your own focus: Having one CTA at a time allows you to concentrate on writing content that points to that CTA, a kind of subtle marketing campaign that gets readers interested. Use the content themes and plans you've plugged into your editorial calendar to guide you as you decide which CTA you'll use. This is the big one. This is going to be the year when you actually seriously really do honest–to–goodness blog. No more looking at your blog and seeing you wrote 12 posts over the past year. No more looking at your blog and shuddering about all the random posts you tossed online. Or (even worse) no more looking at your blog a year after you quit writing and wondering what went wrong. A content marketing editorial calendar, like CoSchedule, will help you write and publish regularly. A content marketing editorial calendar is your map. It will keep you from getting lost and from quitting in discouragement. Plan your blog posts, plan your social media, plan your ideas, plan your marketing themes, plan your content marketing research–just plan. When you use a calendar, you can plan ahead before you're in the thick of things and desperately write and publish anything just to stay afloat. You finally understand how to improve your blog while using it for effective marketing and don't feel one step behind, always trying to catch up. Whether you're a solo blogger or part of a team, your content marketing editorial calendar is a taskmaster, but a pleasant one. When you follow these 5 steps you'll know exactly how to improve your blog and publish the best content using your editorial calendar. A calendar gives you a heads up on how often you're publishing, if you've missed a post, what you have to do for the day, and what you have to do in the coming weeks. It helps you find a workflow that works because a calendar, by nature, is fairly flexible. For example, using CoSchedule, your main calendar screen gives you quick access to these otherwise time-consuming elements of planning your content. You can see how many tasks you have been assigned (or assigned yourself), the content you'll be writing in the coming weeks, and a place to store the drafts and ideas that you'll use in the future. With one glance, I can spot holes in my publishing schedule, account for holidays, see how blog team members are doing and working together. It's easier to make sure that my blog doesn't fade into 12 posts a year. There is something about a calendar that motivates those of us who are willing to be motivated. What changes are you going to make on your blog this year?